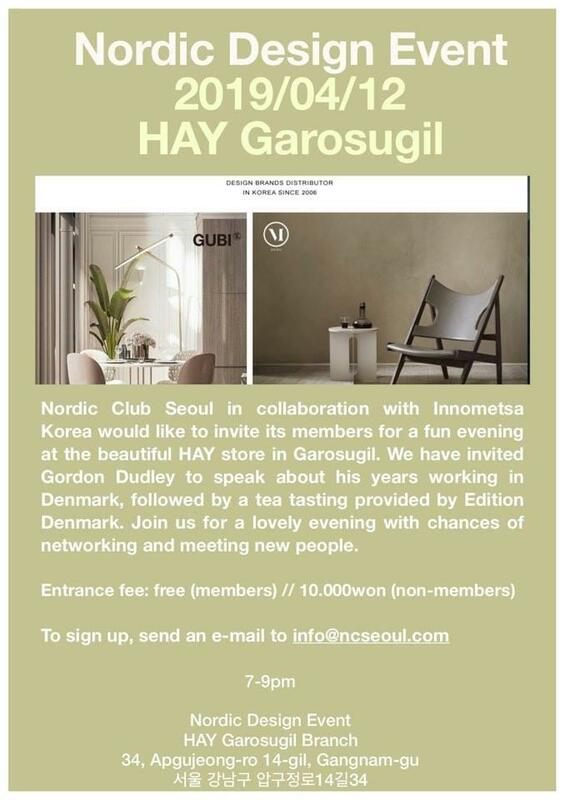 Nordic Club Seoul in collaboration with Innometsa Korea would like to invite its members for a fun evening at the beautiful HAY store in Garosugil. There will be a brand talk, personal experience sharing working in Denmark, and food tasting from Nordic companies. Please join this evening event to feel Nordic culture in Seoul with Nordic friends!